You would have seen it by now. 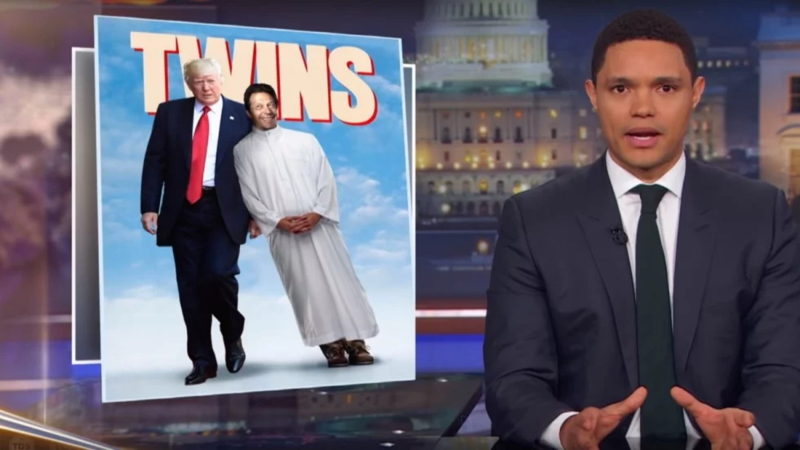 Trevor Noah, the South African comedian who heads Comedy Central’s Daily Show after being handpicked for the job by his legendary predecessor Jon Stewart, had a segment on his show likening Donald Trump to Imran Khan. It was a joke, of course. But that didn’t stop people from taking it seriously. PTI supporters, never the last word on maturity, were obviously miffed. But PTI opponents were also propping the piece up as some sort of vindication. When will humour and satire be appreciated for what it is? This is something, ironically, Donald Trump has been doing since some time. While other US politicians used to laugh at, even play along with, the antics of the staff at another popular comedy show, a bigger cultural icon than the Daily Show – Saturday Night Live – Trump started tweeting in detail after becoming President about how they had wronged him. In that regard, if not others, Team Trump and Team Imran are identical. Get worked up about comedy shows. Still, humour is a potent form of discourse and the it-was-a-joke argument shouldn’t fly all the time. Jon Stewart, specially towards the end of his own tenure, used to utilise this get-out-of-jail-free card often. He ended up being a pundit who could sound off as much as he wanted but try to wriggle out of ideological accountability whenever he was called out on account of the just-kidding reasoning. So let’s examine the comparison between Donald Trump and Imran Khan. Imran Khan is no Trump. For instance, regardless of what views his supporters might hold, he has never been a racist. His plea of compassion towards the Afghan muhajireen when there was a groundswell against them a year or two ago is sign of that. Imran Khan is genuinely religious, whereas Trump is clearly faking it; even his Christian evangelical support base would begrudgingly admit as such. Trump is not as rich as he claims he is and goes out of his way, at pains to prove that he actually is rich and knows how to do business. Khan, on the other hand, is not as middle-class as he claims, has an extravagant lifestyle but is at pains to show quite the opposite, with his media team carefully curating a simple-man image. And Trump is wildly successful on the electoral front, steamrolling through all predictions, not just by pundits in general but also rightist pundits who were self-styled experts on the conservative support base of the Republican Party. Khan’s electoral success, on the other hand, is a question mark so big that even his supporters don’t deny the pre-poll rigging and intimidation of League politicians by the establishment and instead, just deny polling day rigging. Even despite all that help, the PTI has only managed to make a weak minority government and, in order to make a simple majority, has had to reach out to avowed opponents like the MQM and the Other League. But there are ways that they are alike. One, the deeply-rooted belief that they will magically solve everything just by virtue of being there. That intricate problems of, say, income tax or education, with their multi-layered complexities, will unravel and reveal their solutions just because it would be they who would be addressing them. King Arthur being able to pull out the Excalibur, not because he was the strongest, but because he was King Arthur. And second, an obsession with polling numbers. Much after the Presidential election of 2016, Trump and even some of his staff would pivot almost all discussions to how he had won the elections and proved everyone wrong. It is also what Khan seems to want to talk about. In the infamous BBC interview with Zainab Badawi, his answer to all questions about tangible development in KP, like job creation, for instance, was how the surveys revealed that he was set to win. In the Republican National Convention before Trump was elected, the attendees were all saying how American cities were less safe now and that there was more violent crime and that there needs to be an overhaul. 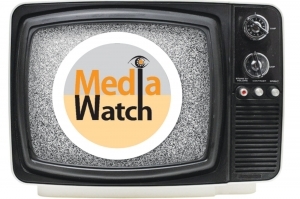 The correspondents of some media outlets showed some of these attendees figures and charts revealing that such crime was at its lowest and that it had also specifically gone down during the Obama administration. Though they were initially flustered by this data, they still stood their ground, saying that “there is a feeling” that such crime has risen. When one asks the PTI’s supporters about development in KP, they say a lot has been done in the education sector. Like what? Like bringing many kids into school. The KP’s Elementary and Secondary Education Department (not Geo, not Dawn, but the Department itself) recently released the PTI government’s 2017-18 data, finally giving us tabulated stats of all five years. Turns out that the ANP put more than twice the number of kids in school than the PTI. But who cares if it feels like the PTI has put more kids in school, right? Trump’s White House aides tread carefully on the nuanced policy debates around him. His hapless Secretary of State Rex Tillerson once referred to him as a moron, which was leaked out to the media, leading to his eventual dismissal. Imran Khan is a pretty little thing, who doesn’t miss an exercise session but whose eyes glaze over in policy meetings. He gets bored with policy debates easily, something that he shares with Nawaz Sharif and doesn’t share with his fellow Oxon, the late Benazir Bhutto. But Sharif, through the process of osmosis, had probably picked something up over the years. On policy debates, Khan probably doesn’t know which way is up.